A newlywed couple has many preparations to finalize before they begin a life together. Renting a suitable apartment is one serious concern which often distresses the couple and their families. The Israeli housing system, which consists of purchasing an apartment rather than renting it, basically reduces the possibility of locating an apartment for rent. As a result, the number of possible apartments that are available for lease become so in demand that they create a very high monthly rental rate. This translates into a housing crisis for newlyweds who simply cannot afford to purchase at this early stage of their journey together. It is a concern with few options…and one that Yad Ezrah decided to alleviate. 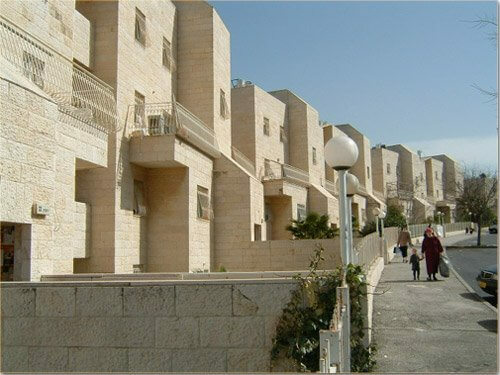 As a result, “Yad Eretz” has built a complex of sixty apartments that are used exclusively for newlyweds who need an initial place to live. The apartments are rented to young couples at a discounted rate for a limited period of time. This assistance allows them to cut their monthly budget and save for the time that they can arrange a more permanent solution. Boruch Hashem, more and more young couples are getting married and the need for additional housing is growing. We need your help to make the impossible possible. Allow us to put a roof over their heads and Hashem will continue to bless those who reside under your roof as well.